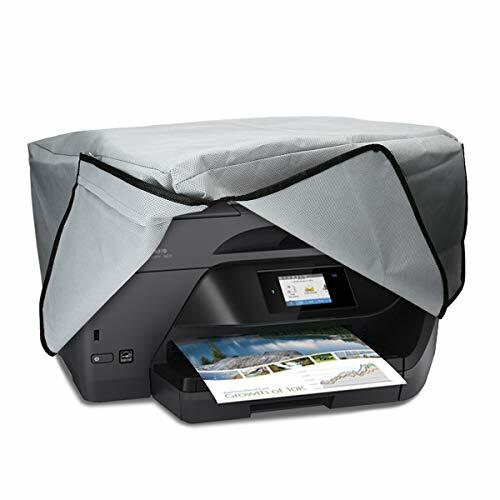 PROTECTIVE COVER: The kwmobile printer cover protects your HP OfficeJet Pro 6000series from dust, scratches, splashes, fingerprints, UV rays, dirt and more. EXTRA COVERAGE: The protective cover not only covers your machine, but also features extra fabric in the back to cover the cable connections as well. MATERIAL: The thin cover is made of durable textile fabric that is flexible and tear resistant. EASY TO CLEAN: To clean the dust cover use a lint roller, a small hand brush or wash the hood by hand. The printer cover is not suitable for the washing machine!